This who’s who looks at some of the more notable individuals involved in the Holocaust, either as perpetrators and war criminals – or as victims and resisters. Adolf Eichmann (1906-1962) was an SS officer who played a significant role in organising the Final Solution. Born to Lutheran parents in western Germany, Eichmann’s family moved to Austria, where he was educated. He joined the Austrian SS and, in 1934, was accepted into the Sicherheitsdienst (SD). After the outbreak of war Eichmann was assigned to an SS department responsible for overseeing Jewish transportation and resettlement. Sometime in late 1941, he became aware of the plan to liquidate the entire Jewish population of Europe. Eichmann attended the Wannsee conference in 1942, essentially to gather and record information. For the rest of the war, he worked diligently and devotedly on Jewish deportations. Though a wanted man, Eichmann managed to escape to South America where he changed his name and lived in hiding. In 1960 he was followed and detained by Mossad (Israeli secret service) agents, who smuggled him to Israel. He was charged with war crimes and executed in 1962, still largely unrepentant about his role in the Holocaust. 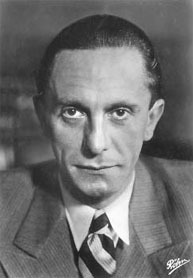 Joseph Goebbels (1897-1945) was Nazi Germany’s propaganda minister, one of Hitler’s inner circle and – for 24 hours – his successor as fuhrer. Goebbels was born in industrial Ruhr region of Germany, his dreams of military service thwarted by a deformed leg. Instead, the young Goebbels attended university and graduated with a doctorate in literature. 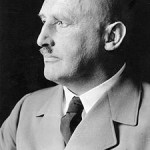 He joined the NSDAP in late 1924 and within months was editor of a party newspaper. In 1926 Goebbels became Gauleiter (party leader) for Berlin, where he launched his own newspaper, Der Angriff (‘The Attack’). In its pages Goebbels launched scurrilous and unrelenting attacks on the city’s leading Jews, contributing to its growing anti-Semitism. 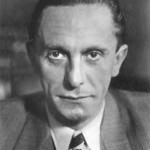 Like Hitler a prolific speechmaker, Goebbels’ oratory was also laced with anti-Jewish rumours, conspiracies and threats. Perhaps his most significant anti-Semitic action was to deliver the November 1938 speech that triggered Kristallnacht, or the ‘Night of the Long Knives’. 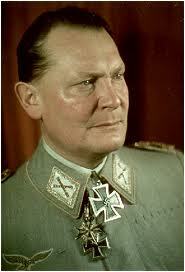 Hermann Goering (1893-1946) was the second-most influential figure in the Nazi Party and Hitler’s nominal successor. 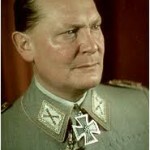 Goering was born into an affluent Bavarian family and followed his father into the military. During World War I the young Goering made his name as a successful, though somewhat arrogant fighter pilot. Goering joined the Nazi Party in 1922 and briefly served as leader of the Sturmabteilung. He was shot in the groin during Hitler’s failed putsch in Munich in late 1923. By the late 1920s Goering was a member of the Reichstag; in 1933 he was appointed to Hitler’s cabinet; the following year he organised and formed the Gestapo state security police. As Hitler’s second in command, Goering was responsible for overseeing many important policies, including economic programs and military expansion. Goering was also an embittered anti-Semite who frequently fumed about Jews and the need to eradicate them from German life. In July 1941 he issued Reinhard Heydrich with the order to initiate a ‘Final Solution to the Jewish Question’. Goering committed suicide in Nuremberg in 1946. Reinhard Heydrich (1904-1942) was a high-ranking SS officer who played an instrument role in both Nazi security and the implementation of the Final Solution. Heydrich was born in Saxony to a family of musicians. He was too young to see service in World War I but as a teenager took up with nationalist and anti-Semitic political groups. In 1922 Heydrich joined the German navy but his womanising saw him booted out of the service nine years later. In 1931 he was recruited into the SS and his ruthlessness soon caught Himmler’s eye. 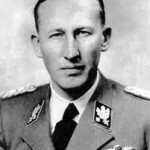 During the 1930s Heydrich served as Himmler’s second in command, overseeing both the Sicherheitsdienst (SD) and the Gestapo. Documentary evidence places Heydrich at the centre of the Final Solution and its organisation. He drafted or signed several significant einsatzgruppen orders, he attended and contributed to meetings regarding Jewish deportations, and he chaired the Wannsee conference in early 1942. 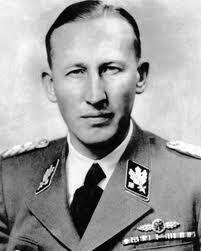 Later that year Heydrich was killed by Czech partisans, specially trained for his assassination. 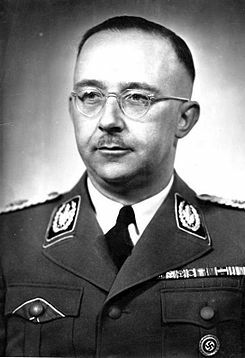 Heinrich Himmler (1900-1945) was Reichsfuhrer of the SS and the highest ranking Nazi leader after Hitler and Hermann Goering. Born in Munich to a family of devout Catholics, Himmler was a sickly and physically weak child but a good student. As a teenager, he attempted to enter the army but was rejected, so he turned instead to paramilitary groups. In 1922 Himmler joined an anti-Semitic political group; the following year he took up membership of the Nazi Party and participated in its disastrous putsch attempt in Munich. In 1929 he was given command of the SS, a fateful move that initiated its rise both as a paramilitary elite and the vanguard of racial supremacy. 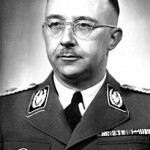 Himmler himself was a racial fanatic: he viewed the expurgation of undesirable races as a difficult but necessary task – and constantly reminded the SS men under his command of this. Himmler’s obsession with racial cleansing and his command of the SS indict him as the Nazi leader with the greatest individual responsibility for the killing of six million Jews. 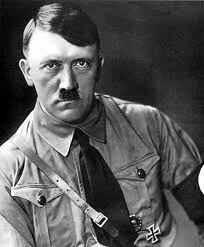 Adolf Hitler (1889-1945) was leader of the Nazi Party and, from 1933, chancellor and then fuhrer of greater Germany. Born in Austria and raised a Catholic, Hitler had hopes of becoming an artist but his ambitions far outsized his talent. His worldview was indelibly shaped by his early adulthood, which was spent scrounging on the streets of Vienna. It was there that Hitler’s anti-Semitism took shape and intensified, moulded by local politicians and anti-Jewish conspiracy theories. Hitler served valiantly in the German army during World War I. After the war, he joined the fledgeling Nazi Party before becoming its leader in 1921. 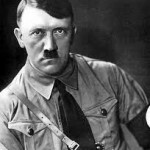 Hitler was appointed chancellor in January 1933 and within months had virtually killed off German democracy, creating a one-party totalitarian state and imposing Nazi social and political values. Between 1933 and 1939, Hitler’s government passed dozens of decrees that eroded the rights and status of Jews living in Germany. Though Hitler had less direct involvement in the Final Solution than Himmler and others, his racial prejudice and intense anti-Semitism certainly created an environment that allowed it to unfold. Rudolf Hoess (1901-1947) was the first and longest-serving commandant of the notorious Auschwitz-Birkenau concentration facility. He was born into a Catholic family in southern Germany and participated in World War I, despite being underage. After the war, Hoess became involved in a Freikorps unit, before joining the Nazi Party in 1922. He became a great admirer of Heinrich Himmler and joined the growing SS in 1933. Hoess served in at least three different Nazi detention camps, including Dachau. In 1940 Hoess, by then a captain, was ordered to oversee the construction of a concentration camp near the town of Oswiecim in southern Poland. Hoess followed his orders closely but he also drew on his experiences in other camps to create more efficient methods of camp management – and later, of exterminating inmates. Hoess was replaced in late 1943 but not before he had transformed Auschwitz-Birkenau into the largest death camp in occupied Europe. Hoess was himself captured by the Allies, put on trial and Nuremberg and hanged. Josef Mengele (1911-1979) was an SS doctor dubbed the ‘Angel of Death’, who tortured, brutalised and murdered scores of Jews while posted to Auschwitz. 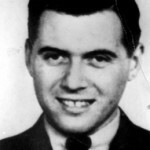 Born in Bavaria, Mengele studied anthropology and medicine before joining the Nazi Party in 1937. After the outbreak of war, he joined the Waffen-SS and served with distinction as a combat soldier. 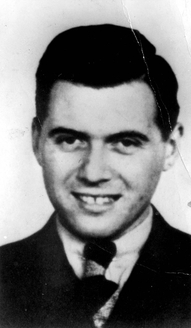 After being wounded in 1942, Mengele was deployed as a medical officer in Nazi concentration camps. By 1943 he was at Auschwitz-Birkenau, where he became notorious for his experimentation on Jewish inmates – particularly identical twins, which fascinated him. These experiments were conducted without anaesthetic or pain relief and few survived them. Though tagged as a war criminal, Mengele evaded capture after the war, eventually fleeing to South America via Italy. Despite a concerted effort to locate Mengele by German and Israeli authorities, Mengele remained undetected, living in Argentina and Paraguay until his death from natural causes in 1979. Julius Streicher (1885-1946) was one of Nazi Germany’s most hateful anti-Semites. Born in Bavaria, Streicher became a junior school teacher like his father, before joining the army at the outbreak of World War I. 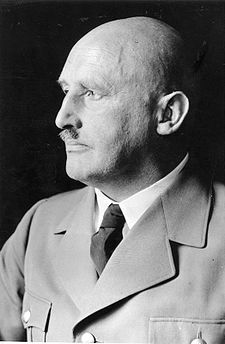 After the war, Streicher became involved in nationalist politics and his anti-Semitic attitudes hardened. He joined several right-wing groups but his angry and sometimes foul-mouthed tirades about Jews unnerved others and made him an unwelcome figure. Streicher was recruited to the NSDAP in 1922 and became a close confidant of Hitler. The following year he started a weekly newspaper, Der Sturmer, with Hitler’s endorsement. Der Sturmer was almost entirely devoted to Jew-hating, reporting exaggerated or fictional accounts of Jewish crimes, conspiracies or underhandedness. It was aimed firmly at the lower classes, its language simple, its imagery apparent and its tone vulgar. Streicher also produced several children’s books, intended to teach German children about Jewish malevolence and how to respond to it. Sentenced to hang at Nuremberg, Streicher went to the gallows unrepentant, still cursing the Jews. Mordechai Anielewicz (1919-1943) was the best known Jewish resistance leader during the Warsaw ghetto uprising. Born into an impoverished Warsaw family, he joined a left-wing Zionist group after leaving high school. He left Poland shortly after the Nazi invasion, travelling through eastern Europe and attempting to recruit resistance fighters. Anielewicz returned to Nazi-occupied Poland in 1942 and became leader of the ZOB (‘Jewish Combat Organisation’), despite being just 23 years old. He urged remaining Jews in the ghetto not to passively accept their fate but to take up arms and resist the SS. In early 1943 Anielewicz and his men attacked an SS regiment entering the ghetto; the assault stunned the SS and prevented it from conducting another wave of Jewish deportations to nearby Treblinka. The ZOB resisted the Nazis for several months until a major SS offensive in May 1943. Anielewicz and several other ZOB commandos are believed to have taken their own lives with cyanide, their bodies cremated either by the SS or other Jews. 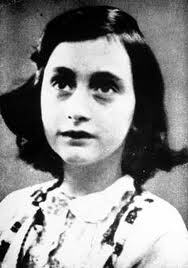 Anne Frank (1929-1945) is probably the best known victim of the Holocaust. Born in Frankfurt, Frank’s family were liberal Jews; her father Otto had served in the German army as an officer during World War I. In 1934 the Franks, increasingly concerned about the anti-Semitic policies of Adolf Hitler and the Nazi Party, fled Germany and relocated to the Netherlands. Their new life there was disrupted by the Nazi invasion of Holland in 1940. Facing deportation, in July 1942 Frank’s father moved the family into a hidden annexe at the rear of his workplace. They remained there for more than two years, concealed and supplied by Otto Frank’s former work colleagues. During this time Anne Frank kept a diary, recording her thoughts and observations about her family, their fate and other Jews sharing the annexe. In August 1944 the annexe was raided by German police after an anonymous tip-off. 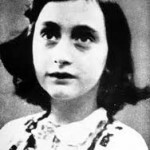 The Franks were arrested and deported to Auschwitz, where Anne, her mother and sister all died from starvation and typhus. Her diary was later published and has become one of the best-known books in history. 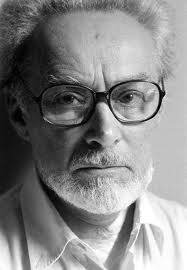 Primo Levi (1911-1987) was an Italian-born Jewish scientist who was interned in Auschwitz during the Holocaust. Levi was born in Turin and attended the university there, graduating as a chemist. By the early 1940s Levi, excluded from professional roles by anti-Semitic Italian laws, was working in a mine under an assumed name. In 1944 the Nazis took over the northern Italian region where Levi was living. Along with several hundred other Italian Jews, Levi was transported to Auschwitz in trucks. There he was put to work in an IG Farben plant near Auschwitz, work that probably saved his life. He remained in Auschwitz for almost a year before the camp was liberated in early 1945. In 1947 Levi published one of the first personal accounts of life and work in Auschwitz: Se questo è un uomo (‘If This Is a Man’). Fifteen years later he followed this with La Tregua (‘The Truce’). 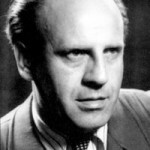 For the remainder of his life, Levi campaigned against anti-Semitism and neo-Nazism, both as a writer and public speaker. 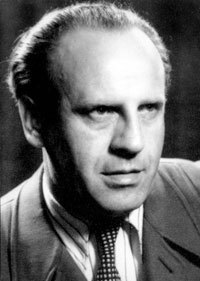 Oskar Schindler (1908-1974) was a German-speaking Czech businessman whose actions saved the lives of more than 1,100 Polish Jews during the Holocaust. Schindler’s youth and early adulthood was filled with a series of short romances and failed business ventures. In the mid-1930s he joined the NSDAP and worked secretly feeding information to the Abwehr (the Nazi spy agency). After the outbreak of war Schindler relocated to Krakow, Poland, where he gained control of a bankrupted enamelware factory. Schindler, a flamboyant and generous socialite, became friendly with several SS officers; he used these contacts to obtain both large government supply contracts and cheap Jewish labour. But while Schindler grew rich from the efforts of his Jewish workers, he also ensured they were protected from overwork, malnutrition and the brutality of the SS. In 1944 Schindler prevented his Jewish workers from deportation to the death camps by having them relocated to the comparative safety of Czechoslovakia, where they survived the war and the Final Solution. 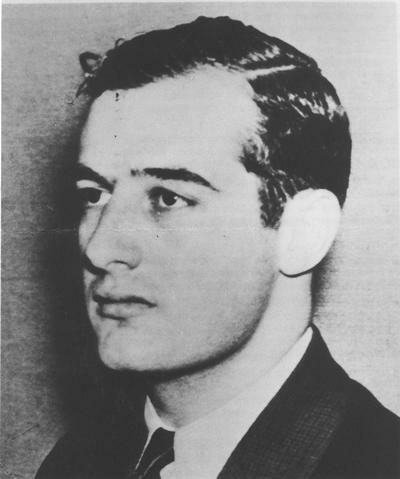 Raoul Wallenberg (1912-1947) was a Swedish diplomat whose actions saved an unknown number of Jews, possibly as many as 100,000, from the Final Solution. 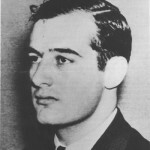 Born to a wealthy family near Stockholm, the young Wallenberg was sent to study architecture in Paris and the United States. Later, he became a successful international businessman. In 1944 the Swedish government asked Wallenberg to serve as a diplomat in Nazi-occupied Hungary, to assist Jews being persecuted there. Wallenberg, who was one-sixteenth Jewish himself, agreed. When Wallenberg arrived, more than 400,000 of Hungary’s 650,000 Jews had already been deported, the vast majority to Auschwitz-Birkenau. He assisted remaining Jews through the use of false passports, diplomatic immunity, embassy buildings and bribery. Wallenberg’s actions saved the lives of thousands of Hungarian Jews but it also placed him at great risk: for months he was hunted by the Gestapo. Wallenberg disappeared in 1945. It later emerged he had been captured, detained and probably murdered in Moscow, for reasons that are unclear. Elie Wiesel (1928- ) is a Jewish-American author and a well known and outspoken survivor of both the Holocaust and Auschwitz-Birkenau. 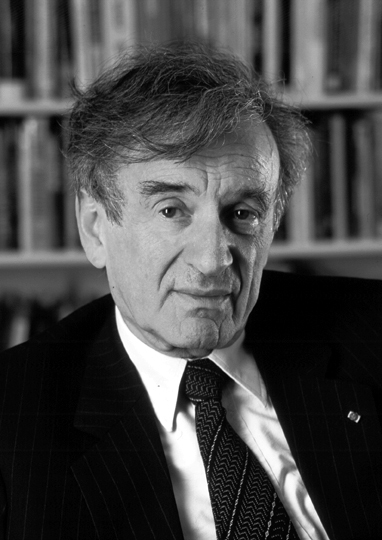 Wiesel was born in Transylvania, Romania. In 1940 Nazi forces occupied Wiesel’s hometown. In the summer of 1944, when Wiesel was just 15, his family was briefly relocated to a Jewish ghetto and then transported to Auschwitz. His mother and one of his three sisters were gassed on arrival, while Wiesel was interned with his father, who became seriously ill and was gassed in early 1945. 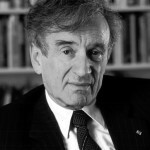 After the war Wiesel was reunited with his two surviving sisters and emigrated, first to Israel and then to the United States. 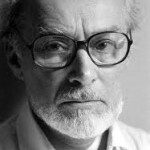 He in the mid-1950s he published Night, a personal memoir that recounted his experiences in Auschwitz, particularly the difficulties of trying to keep his father alive. The first book of a trilogy, Night has become one of the best-known accounts of Jewish incarceration and suffering during the Holocaust. Wiesel still lives in the US and speaks regularly about the Holocaust and its historiography. 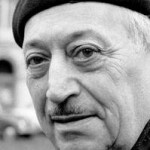 Simon Wiesenthal (1908-2005) was a Jewish-Austrian Holocaust survivor who became the best known hunter of fugitive Nazi war criminals. 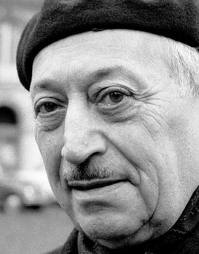 Wiesenthal was born in Galicia, his family arriving there two years before after fleeing anti-Jewish pogroms in Russia. The young Wiesenthal worked as an architectural draftsman before being captured by the Nazis in 1941, along with several of his family. He was transported to several concentration facilities before ending up at Mauthausen, where he was liberated in 1945. Wiesenthal was employed by the US Army to gather documentation and evidence of Nazi war crimes. Along with other survivors, he formed the Jewish Documentation Centre, which continued the work of gathering evidence of war crimes, long after the completion of the Nuremberg tribunals. Wiesenthal’s work contributed to the apprehension and conviction of dozens of Nazi war criminals, though there is uncertainty and debate about some of the claims personally made by Wiesenthal. He continued ‘Nazi-hunting’ until retiring aged 94 when he said: “my work is done”.